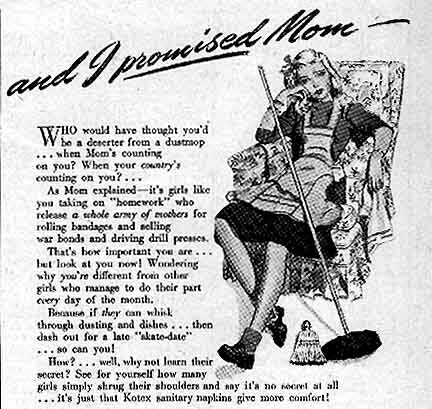 Americans felt much more positive about World War II than about any war since - even menstrual pad ads were patriotic! Can you imagine Tampax calling America to arms today? 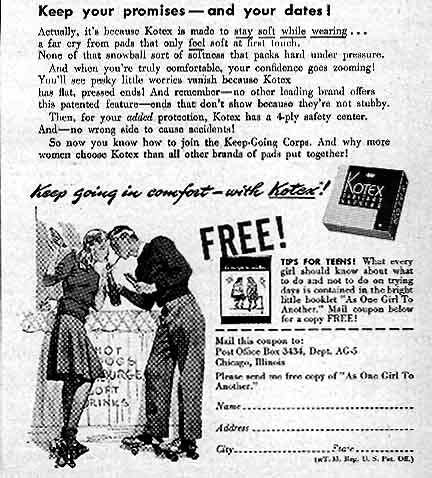 The same militarism pervaded advertising in general (for example, for cigarettes, which companies gave away to troops), and again in this Kotex "Are You in the Know?" ad a year later, from May 1944. Oh, yes, also menstrual blood. Notice also the faces of the girl and boy in the ad: they are really identical. 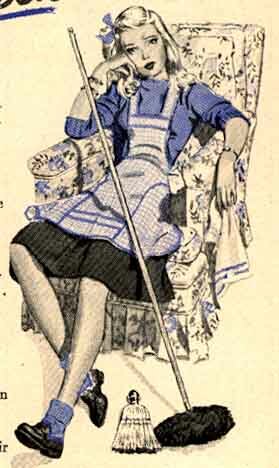 Kotex, and many other companies, idealized an Anglo-Saxon but childish face in many ads. They are teenage babies. As an illustrator, I know that it easier to draw the same face than to come up with new ones (many single-panel cartoonists use the same face: maybe a big nose, dots for eyes, etc; and using varying faces might also detract from the point, unless faces form a part of that point). There are no black or brown ones and there are no big noses or ears. Depiction of an America of different-looking people came later. 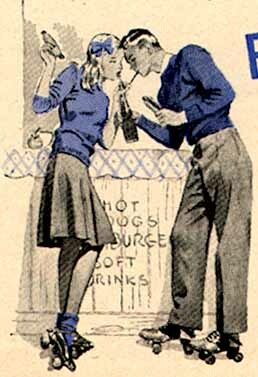 Irving Nurick, an excellent illustrator, drew this one and similar ads for Kotex for years. And I suspect the person who wrote the text wrote the As one [sic] Girl to Another booklets for girls - there's a lot of the same humor and colloquial language. See blowups of the illustrations below the main ad. Read the booklet "As One Girl To Another," advertised above.